Formerly the residence of the Grand-Dukes of Tuscany and later of the King of Italy, this is one of Florence's largest architectural monuments. Today, it houses several galleries and museums that include important collections of paintings and sculpture, porcelain, a costume gallery and other works of art. The magnificently decorated historical setting extends to the Boboli Gardens, one of the earliest in Italy, which is famous for its fountains and grottoes. 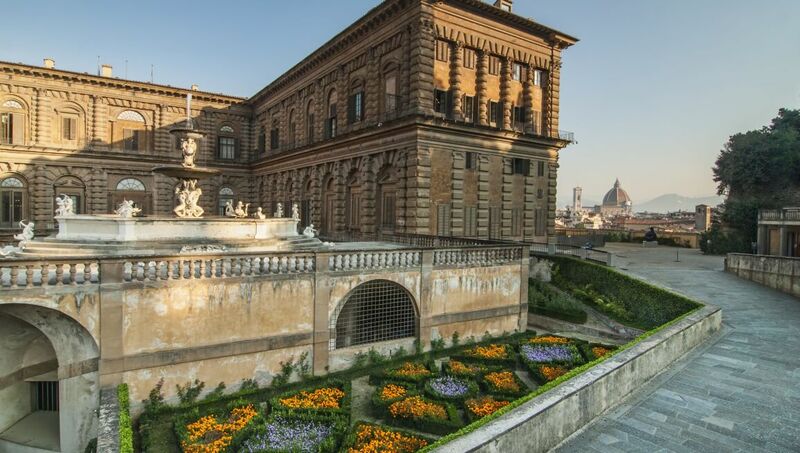 The Pitti Palace comprises the following galleries and museums: The Modern Art Gallery, Museo Degli Argenti, Costume Gallery, Palatina Gallery and Royal Apartments, Boboli Museum and The Porcelain Museum.